I peeled away the plasterboard until I got down to the original walls,” says the portrait photographer Josef Astor as he walks up the smooth wooden stairs of the triplex he rents in the Carnegie Hall Studio Towers. 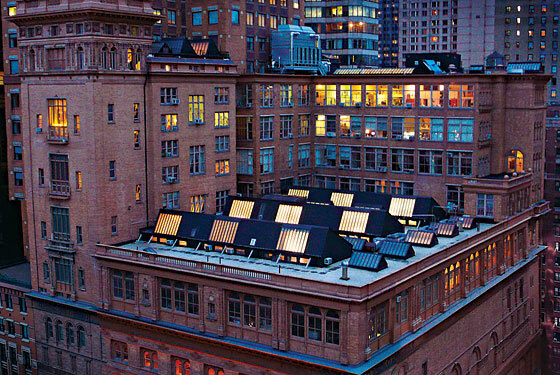 Astor, who’s been in his skylighted space since 1985, was once surrounded by hundreds of creative neighbors—painters and dancers, photographers and composers—who lived and worked in 170 studios built directly above the grand midtown concert hall. 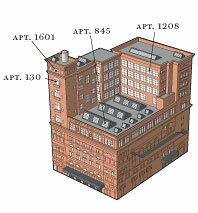 But now, there are 33 occupied apartments remaining (Astor’s is the last triplex). The studios are in the process of being gutted and remodeled by the Carnegie Hall Corporation (the building is owned by the city, but the corporation is its primary tenant). According to a CHC spokeswoman, the spaces will be converted to “educational facilities” for young musicians. The corporation has promised to find comparable apartments for the seven rent-controlled tenants still living in the Towers, and to pay the difference in rent for the remainder of each tenant’s life, but the 26 non-rent-controlled commercial and residential tenants—including Astor—have no such guarantee, and received eviction notices last year. In December, a New York City civil court judge ruled in favor of the Carnegie Hall Corporation and the evictions. A group of tenants, with Astor as one of its main galvanizers, is appealing the decision. When Andrew Carnegie built the Towers over the Hall—the project was completed in 1896—he intended for the studios to be occupied by working artists. It wasn’t cultural altruism—the rents were a source of revenue. But architect Henry J. Hardenbergh (who also did the Dakota and the Plaza Hotel) designed the apartments as studios, with high ceilings and north-facing skylights. The roster of names who lived and worked there is stellar: Isadora Duncan, Agnes de Mille, Garson Kanin, Marlon Brando, Leonard Bernstein. Clive Gillinson, the executive and artistic director of Carnegie Hall, is sympathetic to the tenants’ plight. “If I were them, I would feel the same,” he says. But the CHC is intent on expanding its educational programs and rehearsal space, and, Gillinson believes, the studios are critical to meeting the organization’s needs. Years in the Apartment: 22. 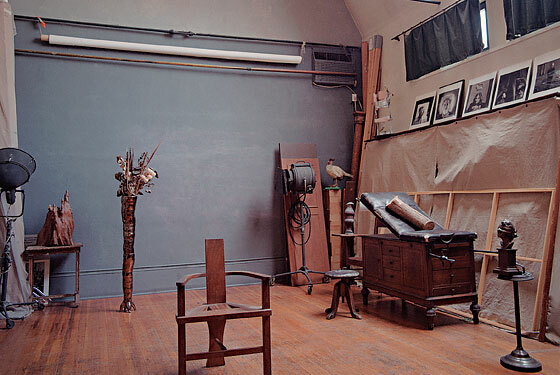 Josef Astor’s triplex studio on the eighth floor of the Carnegie Hall towers has been his living and working space since 1985. It has a second-story balcony and a northern exposure. Astor is involved with the remaining tenants’ fight to stay in the building. Years in the Apartment: 58. Editta Sherman is known as the Duchess of Carnegie Hall. 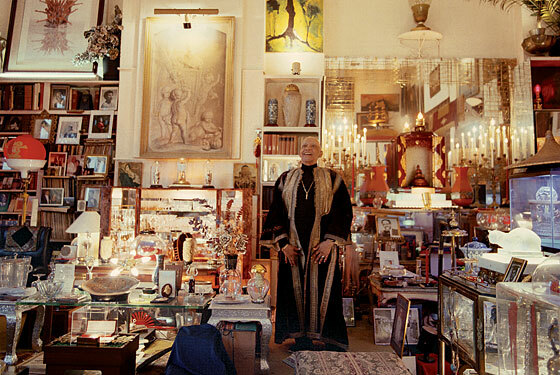 The sprightly 95-year-old has lived in her twelfth-floor studio since 1949. 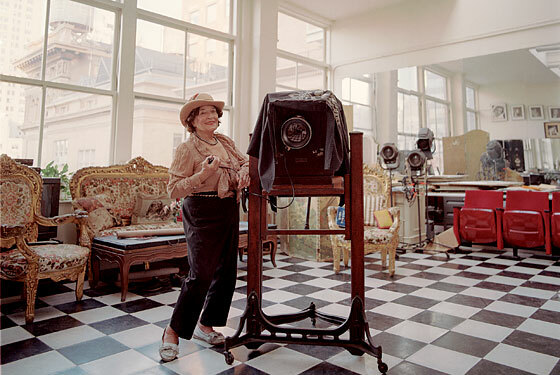 She raised five children while working as a successful photographer of the cultural elite. Dramatic black-and-white examples from her collection of 2,500 portraits are displayed against the mirrored walls and bold checkered floor: Henry Fonda, Mary Martin, Douglas Fairbanks Jr. A cast-iron circular staircase leads to a loft filled with studio props. Photographer and fellow resident Bill Cunningham enlisted Sherman as his model and muse for his 1978 book Facades, which fuses fashion and architecture photography. Tod Williams and Billie Tsien, architects. Years in the Apartment: 34. Years in the Apartment: 51. Donald Shirley started on the eighth floor in 1956; he now lives, with his concert-grand piano and trove of objects, on the thirteenth floor.